The first stage of the Bahrain international airport’s passenger terminal construction was officially launched with the commencement of enabling works in March 2015. Credit: Bahrain Airport Company. Bahrain Airport’s new terminal will be four times the size of the existing facility. Credit: Bahrain Airport Company. The new terminal will have a layout similar to that of existing terminal. Image courtesy of Bahrain Airport Company. 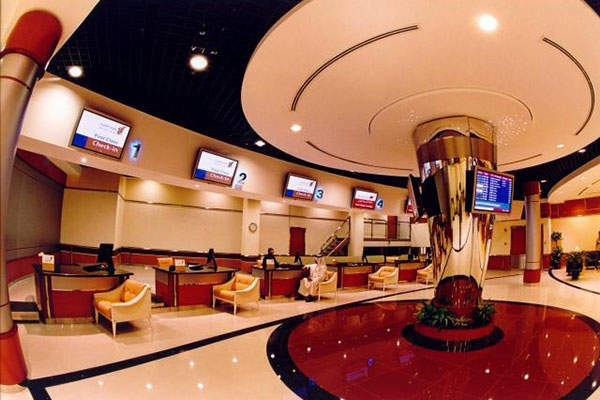 The Bahrain Airport Company (BAC) is developing a new passenger terminal building at Bahrain International Airport (BIA). The project is a part of the airport modernisation programme (AMP), a comprehensive development plan designed to improve the infrastructure and services at the airport to cater to future aviation needs. The modernisation programme includes a new 20-year airport masterplan, which includes the construction of a new passenger terminal, in addition to the expansion and refurbishment of the existing terminal. The first stage of the project was officially launched with the start of enabling works in March 2015. Construction on the terminal building began in February 2016, and is planned to be completed by 2020. The initial expansion phase is expected to increase the airport’s capacity to 14 million passengers a year from the current nine million passengers a year. The new passenger terminal will occupy 220,000m², which is four times the size of the current airport. Its layout will be similar to that of the existing building with departure areas located on the upper floor and arrivals on the ground floor. The departure hall will spread across 4,600m² and two premium-class check-in halls will span across a total area of more than 5,000m². The arrivals area will feature 36 passport control booths, five E-gates, eight baggage reclaim belts and a 1,000m² duty-free shop. The terminal will feature 108 check-in desks, 24 passport control booths, 28 security lanes, a 9,000m² duty-free retail space, premium-class lounges, food and beverage zones, and 24 jetty-served departure gates. It will also feature a fully automated baggage handling system with early bag storage and up to 7,000 car park spaces. The terminal will be equipped with new and improved state-of-the-art technology to improve passenger convenience, safety and security, as well as expedite the check-in processes. Other facilities will include exclusive premium-class facilities, expanded check-in area security stations, and emigration and security stations. The terminal is designed to attain optimum efficiency of operations, easy and flexible passenger movement, and superior service to the users. The building has been designed in accordance with industry standards to attain LEED gold certification, and will also implement energy and water-efficient practices. 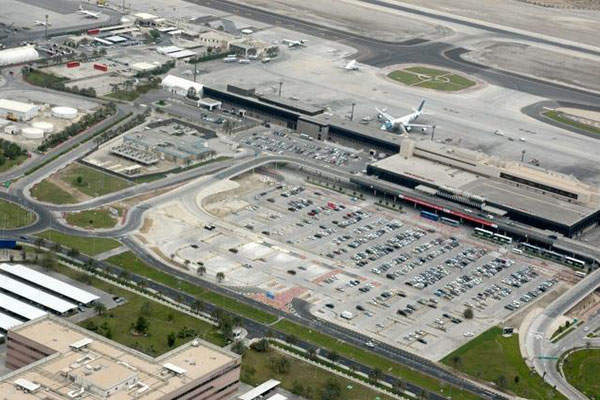 The expansion of Bahrain International Airport is partly being funded by a $919m grant provided by the Abu Dhabi Fund for Development, which covers almost 80% of the project cost. The grant is part of AED9.19bn ($2.5bn) fund offered by the UAE in 2013 as part of the Gulf Cooperation Council (GCC) development programme for Bahrain. US-based consultancy firm Hill International was awarded a four-year $18.3m contract in January 2014 to provide project management services for the modernisation project. The $34m design and engineering consultant contract was awarded to Aeroport de Paris Ingerierie (ADPi) in March 2014. Under the contract, ADPi conducts all the necessary studies related to the development of the airport over the next 20 years. It also includes identifying the functional zones in the airport, conducting financial assessments, and determining traffic and environmental impact. The company also provides initial specifications for work on associated infrastructure, roads and utility connections. BAC Facility Management is responsible to upgrade the car parking facility as well as operations, infrastructure and services at BIA. Almoayyed Contracting received $33.69m contract from BAC to complete soft refurbishment works at the arrivals concourse and the customs hall. SETEC received a maintenance, repair, and overhaul (MRO) zone contract in January 2016 to improve new MRO hangar, aircraft parking, aprons, new taxiway, airfield pavement, engine run-up area, airfield ground lighting (AGL), and related infrastructure. Bahrain Business Machines (BBM) received a $1.71m contract from BAC to construct containerised data centre (CDC), in January 2016. KONE was awarded a $12.4m contract to design, manufacture and install 85 lifts, 20 travelators and 40 escalators for the new terminal. Vanderlande received a $30.97m contract to design, manufacture and install automated baggage handling system. The project is expected to complete by the second quarter of 2019. Hill International subcontracted Benoy to provide interior design services for the new passenger terminal, in April 2016. The first phase of enabling works was initiated by BAC in March 2015. The $3m enabling works contract was awarded to Cyprus Building and Road Construction Company (CYBROC). The scope of the enabling works includes relocation of all the existing utilities and facilities away from the passenger terminal and to create space for the construction of the new passenger terminal building. The first phase of the works is scheduled for completion by November 2015. The second enabling works package worth $27m was awarded to local contractors G P Zachariades Engineering and Construction Company in June 2015. 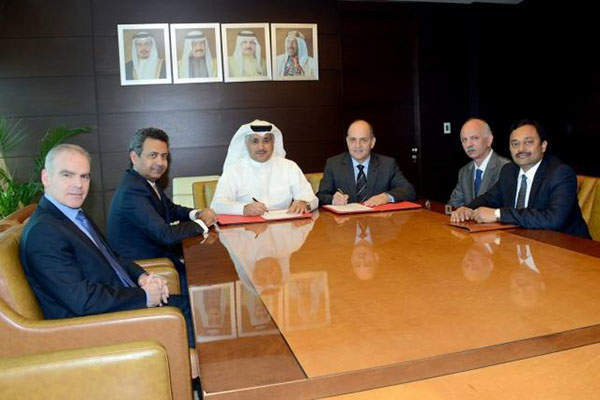 The contractual scope includes construction of a new fire station and associated support infrastructure, construction of a new access security gate, and re-provision of aviation fuelling facilities for Bahrain Aviation Fuelling.